When the iPhone got native panorama function in iOS 6, people started sharing tons of sprawling views. 360s of stadiums, the whole visible coastline at sunset. Laudable Facebook wallpapers all. 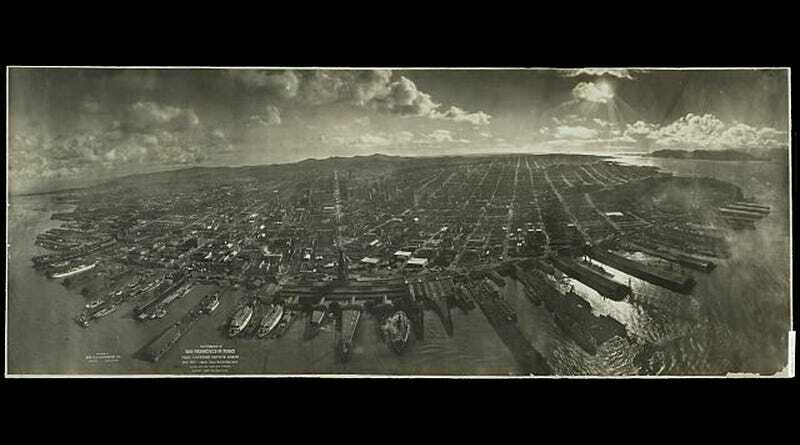 But the urge to capture really wide shots didn't start a few years ago, it began in the 1800s when photographers like George R. Lawrence realized that aerial technology could help them take new kinds of photos.